I think this year’s ISTE has been great. That said I know not everyone will agree with me. 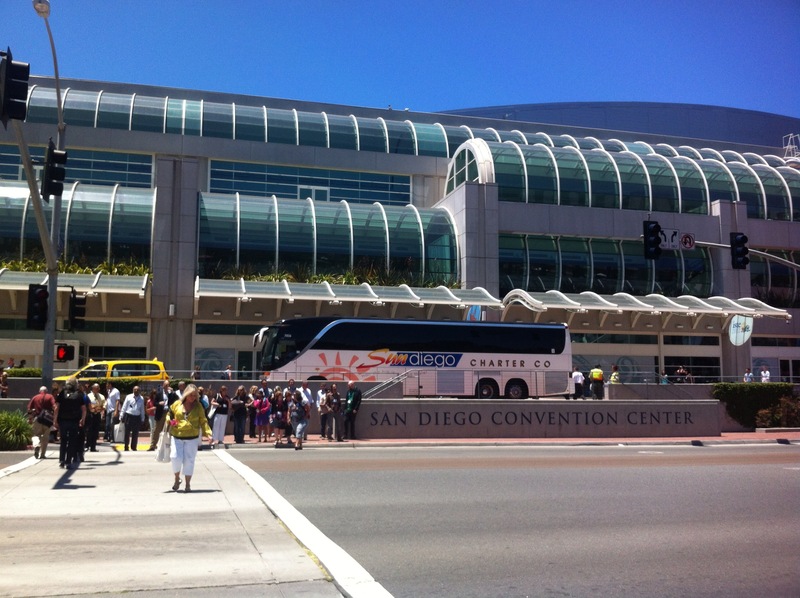 If you follow the Twitter feed #iste12 you might know what I’m talking about. Gary Stager on; meaningless clichés. What I do know is that meeting people face to face is what counts the most, it is great when you finally get to see those you have been following on Twitter for a long time. As member of the PLP gang it is always fun to meet up with Sheryl Nussbaum Beach and this year I got to meet Jenny Luca from Australia. We have only communicated via Twitter but when we met it was as if we had been friends for a long time. We had lunch and made plans to do a project with our students next year, Shelly Wright has promised to participate as well. Look forward to seeing what exciting things might come from this connection. I also glad I got to meet with Beth Still and I almost met Sue Waters! This year I didn’t spend much time taking notes, and I didn’t have time to update my blog, but I did use Twitter to save useful websites and comments and that is my main source for writing this post. To quote jackiegerstein; Twitter is the emancipation of teachers from the silos of isolation! The conference started with the keynote by Sir Ken Robinson and I thought it was great. On the 10,5 hour flight to San Diego I read his revised new version of the book “Out of our minds”. Many of the points he made on stage I recognized from the book. He was funny, entertaining and had many good points. I think we all wished ISTE had given more talking time to Sir Ken Robinson and less on the promotion of ISTE and the panel discussion that followed. As you will see in this video it takes too long before he starts talking! Read some of the critical comments here. Marc Prentsky was not at all what I had expected, don’t ask, but it was fun to have seen him. I read his book “digital natives” and even if I don’t agree with the terminology and the idea that all young people are digital natives, there are many good ideas in his book that you can use in class. The next key note I attended was with Yong Zhao. I didn’t know anything about him before the keynote, and I was very impressed. Dr. Yong Zhao is an internationally known scholar, author, and speaker. His works focus on the implications of globalization and technology on education. He has designed schools that cultivate global competence, developed computer games for language learning, and founded research and develop institutions to explore innovative education models.The first thing I did after the key note was to buy his book, “Catching up or leading the way“. He has a new one out these days, but it’s not available on the Kindle yet. Take a look here to recapture the keynote, it is time well spent. (scroll the time line to 54 minutes!) Some quotes from the lecture: “American education is not in decline, it’s always been bad.” “American schools don’t teach creativity but they kill it less successfully. Alan November; When challenging students to collaborate with other schools in other countries he offers this advice: Google with site: and country code to learn about other perspectives and get the other side of the story! Use Epals to connect classrooms, teachers should connect classrooms globally to discuss books, what a great opportunity that is. ow.ly/1O8tXb From Ewan McIntosh: Out of 400 people, USA’s tech elite at #iste12, only four people have used twitter to connect to authentic on the ground experiences. Teachers should use Twitter to connect with interesting people outside the classroom. You should teach students how to use Twitter as a search engine! Digital natives, not true. Kids do not know how to use Google! Scary! Chris Lehmann: I have written about Chris in previous posts. He is the principal at SLA in Philadelphia. His students and teachers are amazing and I really enjoyed visiting the school in January. Here are some of the Twitter feeds from Chris and from his presentation. Personalization can’t mean we do same stuff at a different pace. Anyone who tries to sell you that, call them out! Inquiry isn’t us asking kids questions we know the answer to; but don’t just present blank page. Offer guided inquiry. See slides here. High Tech High publishes student work as PDFs and uploads them to Lulu where they can be bought as physical books. Study group are essential to student learning. Exhibition as a critical piece of project-based learning at High Tech High. “never fall in love with your curriculum to the point where you forget the children in front of you. David Warlick Great source of infographics from Dwarlick. Here are some useful links: davidwarlick.com/graphicaday/. Google public data, great way to research ow.ly/1O8Vxv easel.ly create infographics. InfoGraphic a day, David Warlick ow.ly/1O8VKV. 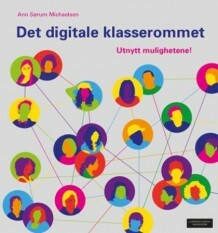 Co-learners a digital textbook of sorts. Ewan McIntosh Ewan presented at our conference last year. This year his colleague Tom Barret will be presenting at our school in November . He had a great presentation where he showed how you can teach history, science, and a lot more using data! Data is all about telling a story. Ewan shows how to use gapminder and data. David McCandles ow.ly/1O9j6v information designer. Wordle should be used more to visualize data ow.ly/1O9jae. Set aside 20 minutes a week to search for cool stuff! Wear headphones and pretend you are doing something serious. BBC, how many really, comparing numbers ow.ly/bRXZc. Information is beautiful great web site ow.ly/1O9jDI. Freebase, everything under the sun visualized ow.ly/1O9jTq. Ingunn and I had a poster session Monday from 8-10. I don’t know if we really expected any visitors, but we were surprised. Many were interested in the topic 1:1 schools with block scheduling. I think we surprised many with block scheduling from 08:30 to 1:10 pm each day! More info about session here, and my slides are here! Expanding horizons was the name of the conference. I think it captures the essence of what we are trying to accomplish in our classroom. To connect students with other students, writers, reporters and ordinary people living in different countries. That is the best way to learn about cultures, conflicts, religions and how people leave in different parts of the world. Imagine teaching history, second world war and connecting with people who live in Norway, Germany, France and Great Britain to discuss what happened. Or study indigenous people by connecting students in Australia, Alaska and Norway? Nobody can disagree because to me it makes perfect sense. Laptops, iPads, computers and social media makes it both easy and doable. Why then are so few teachers connecting to the world using Twitter and writing blogs? I hope they don’t imagine that the students are doing this alone? I think the answer is that it is too difficult. Everything is difficult if you don’t know how to do it. And it is equally difficult for the students. Forget digital natives. This is something we all need to learn! That is why listening to Alan November was so refreshing. He had great examples of what the teacher could do to connect. Let’s just hope those of us who were able to attend this year’s conference will go home to our schools and lead by example! Let me end by this quote: Every teacher has the right to live in a cave, but they don’t have the right to drag their students in with them, T. Whitby. After spending 3 days with the world’s technological elite in education it is clear to me! In danger of getting on the cliché bandwagon; It is time to change! It’s not about the technology but what you can accomplish with it! It is about knowing the right people to follow and it is about connecting. Showing your students what they can accomplish and guiding them. It really is about expanding horizons! Feel bad about not attending? Try to catch up by watching the ISTE’s You tube channel. 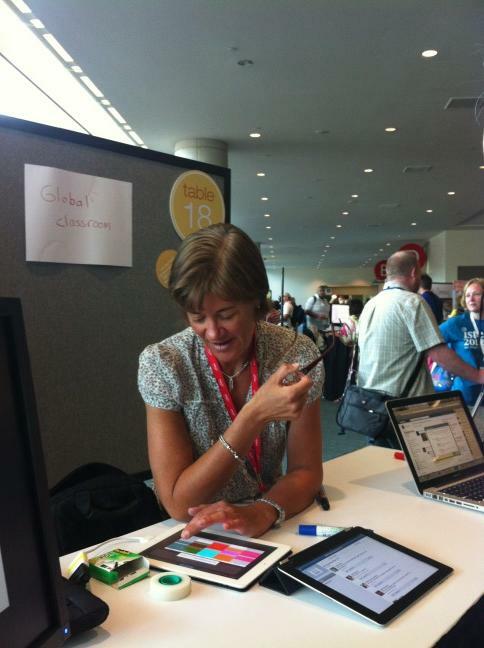 I had a blast at ISTE. I tried to make that clear in all of my posts about it. 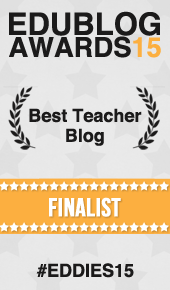 If you go back and re-read it, none of it was meant as a blast on ISTE. Instead, it was a vulnerable post about how my own insecurity pushes me to a place where I don’t tell the whole truth. It was a very personal post and far different from Stager’s. I’m sorry about that John. I see why it was wrong to list your post in that setting. 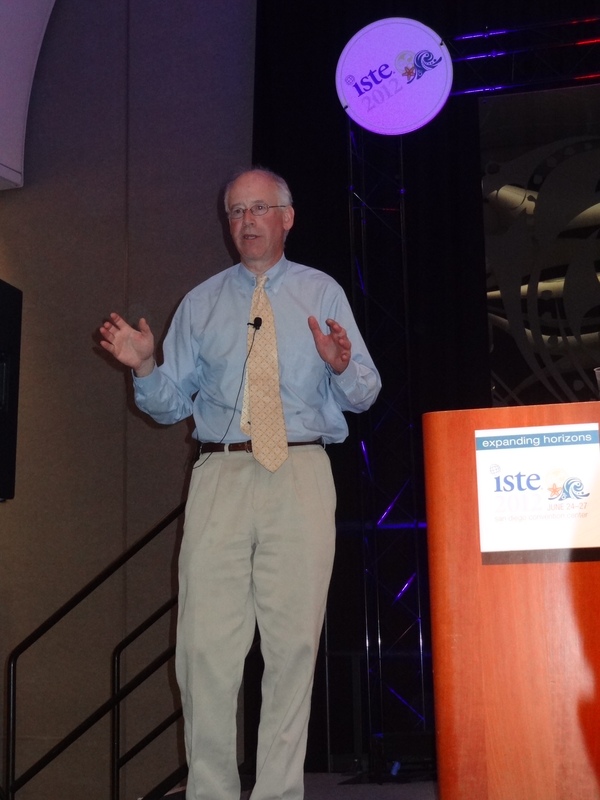 What I meant to say was that it gives an interesting perspective to what we heard at ISTE. The presenters for the most part tell us about their successes and not how difficult it has been to get there. I thought your post was very honest and true. Many of the books I read these days talk about how important it is to fail in order to move on. Sir Ken Robinson and Tony Wagner’s latest to mention some. When I speak in Norway I should try to be more honest in my presentations. Not all students like the new way to work and collaborate. They need to practice a lot. But that is true with most pedagogy. No size fits all. I guess that’s why we all try to individualize the learning as best we can. I follow you on Twitter and I enjoy reading your posts and I certainly didn’t mean to disrespect your work. No problem. I wasn’t insulted by it. I just wanted to clarify my intention. I thought the presentations were good and some of them mentioned mistakes. For me, the bigger issue was my own insecurity and the feeling that I needed to prove myself. It was really my own issue and my own failings in being humble and authentic.